Superman fans were left a little shocked last week when it was reported that Henry Cavill has exited the role in the DC Universe. The apparent reason for the spilt occurred when negotiations for a Cavill cameo in the upcoming movie Shazam! broke down due to scheduling conflicts. With Cavill leaving, Warner Brothers plans to give Superman a break from the big screen for a few years and shift their focus to the upcoming Supergirl film instead. Warner Brothers addressed the split in a statement which said, “While no decisions have been made regarding any upcoming Superman films, we’ve always had respect and a great relationship with Henry Cavill, and that remains unchanged.” Naturally, news of Cavill’s departure caused a stir among fans, with some seizing the opportunity to campaign for Cavill to join the Marvel Cinematic Universe. 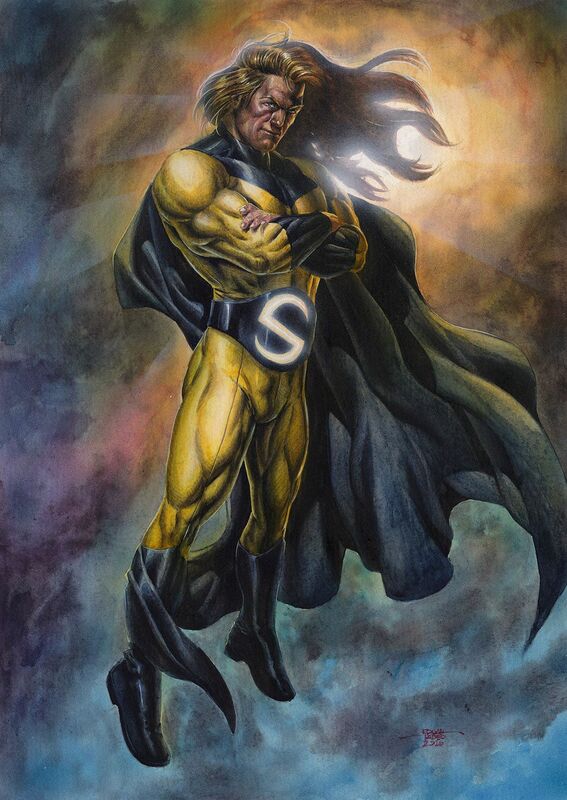 The most popular fan-selected character for Cavill is The Sentry. It’s a fitting choice as The Sentry is pretty much a twisted version of Superman that exists in the Marvel Universe. Robert Reynolds starts out as an overweight, middle-aged man who remembers that he is The Sentry, a superhero whose “power of one million exploding suns” is derived from a special serum. Realising that his archenemy The Void is returning, Reynolds seeks out several prominent Marvel characters to warn them. And to figure out why no one remembers The Sentry. The plot twist? The Sentry and The Void are the same person, which is why Reynolds had erased all memory of his superhero career in the first place. How would you feel about Henry Cavill playing Marvel’s Sentry? I’d watch any movie or show with Henry Cavill, but I love him as Superman. I won’t watch any future movies that doesn’t have Henry as Superman.